Intro: Welcome to Friday Beer Blogs! This week we’re hoping the bright, citrusy taste of Shocktop Belgian White will help usher in the weekend. We’re drinking a beer to help us hold on to the last days of summer sunshine. 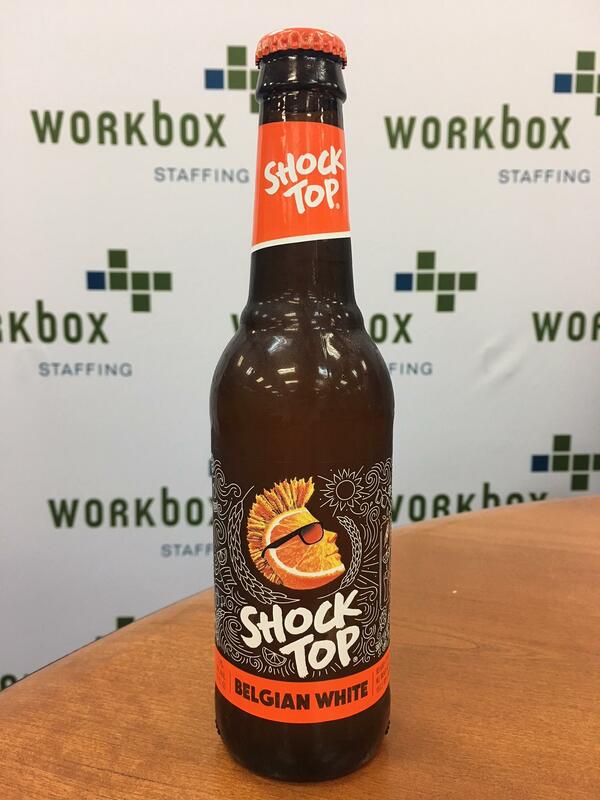 This week, we’re drinking Shocktop Belgian White. To find out what this bottle of sunshine had in store for us, read on! https://workboxstaffing.com/wp-content/uploads/2018/10/WBX_Logo_RGB.png 0 0 CurlyHost https://workboxstaffing.com/wp-content/uploads/2018/10/WBX_Logo_RGB.png CurlyHost2018-09-21 15:25:452018-09-21 15:25:45"Friday Beer Blogs: Shocktop Belgian White"
Intro: Welcome back to Friday Beer Blogs! 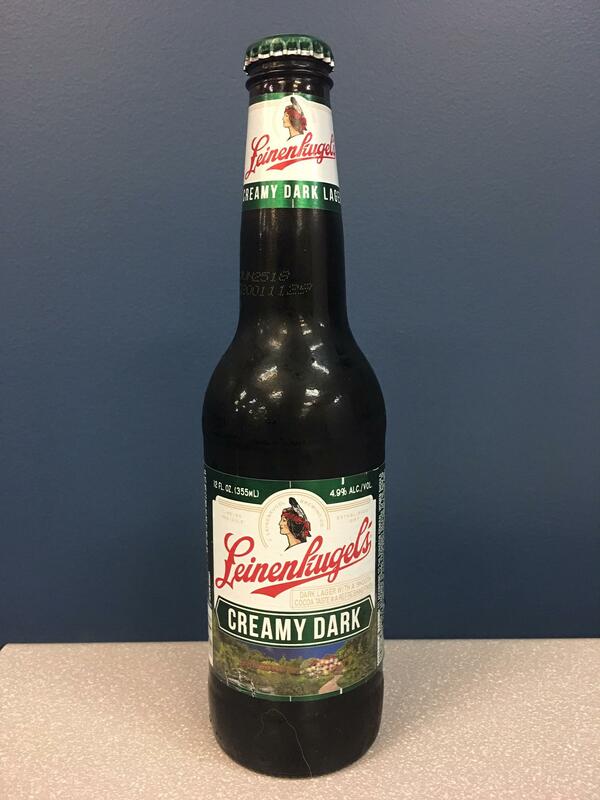 We were feeling the autumn spirit when we sipped on a brew that shares a home state with Mark Ruffalo, cheese, and Packers football. 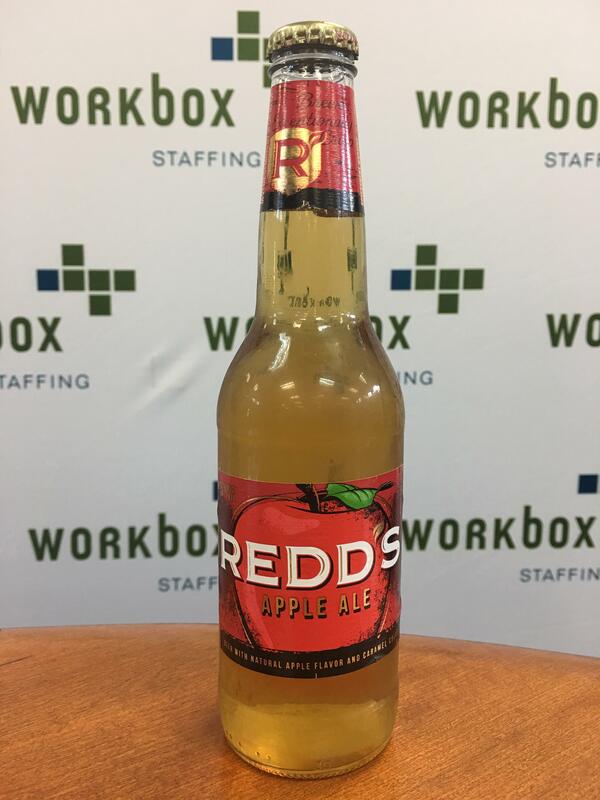 This week we’re drinking Redd’s < g class="gr_ gr_36 gr-alert gr_gramm gr_inline_cards gr_run_anim Punctuation only-ins replaceWithoutSep" id="36" data-gr-id="36">Apple< /g> Ale. https://workboxstaffing.com/wp-content/uploads/2018/10/WBX_Logo_RGB.png 0 0 CurlyHost https://workboxstaffing.com/wp-content/uploads/2018/10/WBX_Logo_RGB.png CurlyHost2018-09-14 14:30:002018-09-14 14:30:00"Friday Beer Blogs: Redd's Apple Ale"
Intro: If life’s a beach, it’s a good thing we have Friday Beer Blog to kick off your weekend. 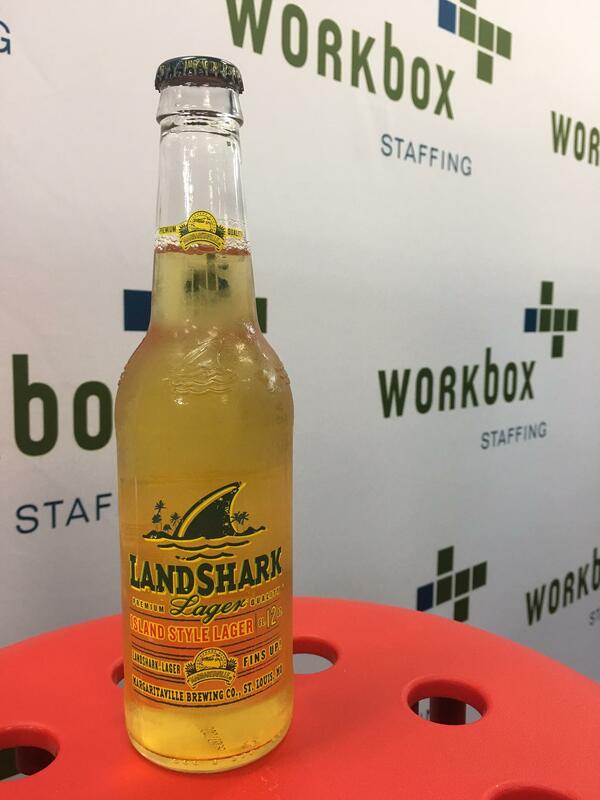 This week, we wanted to prove summer isn’t over yet by cracking open a Landshark Island Style Lager by Margaritaville Brewing Co. Don’t worry, we still have all our toes! https://workboxstaffing.com/wp-content/uploads/2018/10/WBX_Logo_RGB.png 0 0 CurlyHost https://workboxstaffing.com/wp-content/uploads/2018/10/WBX_Logo_RGB.png CurlyHost2018-09-07 14:43:252018-09-07 14:43:25"Friday Beer Blogs: Landshark Lager"
Intro: Aloha! Welcome to Friday Beer Blogs! This week we’re hanging ten and sipping on Kona Big Wave Golden Ale. It’s 5 o’clock somewhere so grab the sunscreen and your surfboard; you’ll need it for this review. https://workboxstaffing.com/wp-content/uploads/2018/10/WBX_Logo_RGB.png 0 0 CurlyHost https://workboxstaffing.com/wp-content/uploads/2018/10/WBX_Logo_RGB.png CurlyHost2018-08-31 12:50:002018-08-31 12:50:00"Friday Beer Blogs: Kona Big Wave Golden Ale"
https://workboxstaffing.com/wp-content/uploads/2018/10/WBX_Logo_RGB.png 0 0 CurlyHost https://workboxstaffing.com/wp-content/uploads/2018/10/WBX_Logo_RGB.png CurlyHost2018-08-24 14:02:152018-08-24 14:02:15"Friday Beer Blogs: Budweiser Freedom Reserve Red Lager"
< strong style="background-color: transparent;">Intro: Welcome to Friday Beer Blog! If you saw our shameless promo, you already know we’re drinking Mike’s Hard Strawberry Lemonade. This adult beverage is guaranteed to be a crowd pleaser; this favorite brew will be enjoyed at any social (or if a social event in your book means your cats are there, we don’t judge) event. https://workboxstaffing.com/wp-content/uploads/2018/10/WBX_Logo_RGB.png 0 0 CurlyHost https://workboxstaffing.com/wp-content/uploads/2018/10/WBX_Logo_RGB.png CurlyHost2018-08-17 11:32:052018-08-17 11:32:05"Friday Beer Blogs: Mike's Hard Strawberry Lemonade"